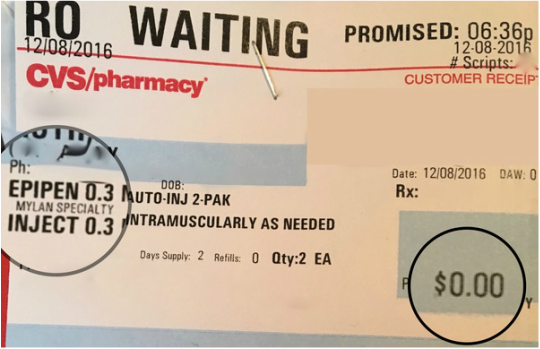 Yesterday I went to refill my Epipen prescription since I have reached my out of pocket max for the year and I knew that they would be free. When I arrived at the pharmacy, I got in line behind a woman who had three adorable little kids with her who all appeared to be under the age of 6. When it was her turn to get her prescription, she walked up to the counter and gave them her little boy’s name and birthdate. The pharmacist pecked away at her computer, went to the bookshelves of filled prescriptions, found the one the woman had come to pick-up, and rang it up. She then proceeded to tell her that her prescription would be $350. Without even seeing the woman’s face–I could tell she felt defeated. The woman put down the child she was holding and told her children to go sit on the chairs to the right. She then proceeded to explain to the pharmacist that she needed her son’s Epipens filled because he had his first anaphylactic reaction the day prior and they didn’t have Epipens since they didn’t know he had food allergies. The woman recounted the events of the day prior to the pharmacist in great detail explaining how terrifying and helpless they felt waiting for the ambulance to arrive with epinephrine. The conversation went on for a good 10 minutes as the pharmacist attempted to add coupons to try and lower the price. In the end, the lady walked away with tears in her eyes without her Son’s Epipens because she couldn’t afford do pay the $350 copay. When it was my turn, I went up, gave my name and birthdate and the pharmacist again went to the bookshelves of filled prescriptions, found the one I had come to fill, and rang it up. She then proceeded to tell me that my prescription would be $0. I signed for the prescription and walked away with a sense of security knowing that I will have plenty of Epipens should I need them for the coming year. The sad reality is that the Woman and I had come to fill the exact same prescription. Her son and I BOTH have a history of anaphylaxis and the Epipens we BOTH have a prescription for have the ability to save our lives. But, unfortunately only one of us has the security of carrying around a lifesaving medication. ​I wish I was able to get the Woman’s name to try and help her but unfortunately she walked out of the pharmacy so quickly I was unable to catch up to her so that I could try and help her out. What upsets me the most is that I know that this story is not unique. I do not have any hard data but I am sure that this happens multiple times a day at pharmacies around the country. The problem is that people shouldn’t have to pick between holiday presents or Epipens. Having a medication that gives you the ability to breathe again should not be a privilege–it should be a right. Ask your provider to allow for the generic epinephrine auto-injector to be filled instead of the Epipen and use this savings card. Sign up for an Epipen savings card. If you feel comfortable, ask to be prescribed ampules of epinephrine and needles instead. 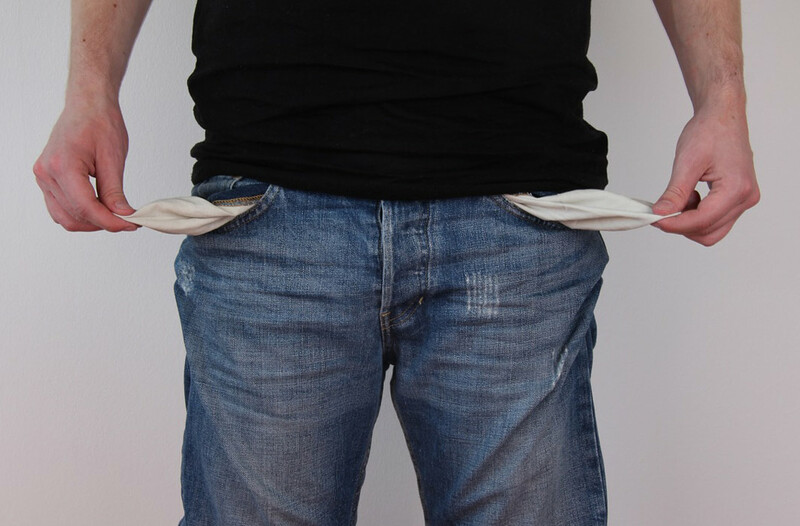 Try and fill your prescription at the end of your insurance period to reduce cost if you have already met your out of pocket costs. 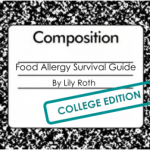 Originally published on Food Allergy Survival Guide.